There are some cities, perhaps because they’re the setting for many a romantic comedy, that seem almost magical in the snow: Paris, London, New York. 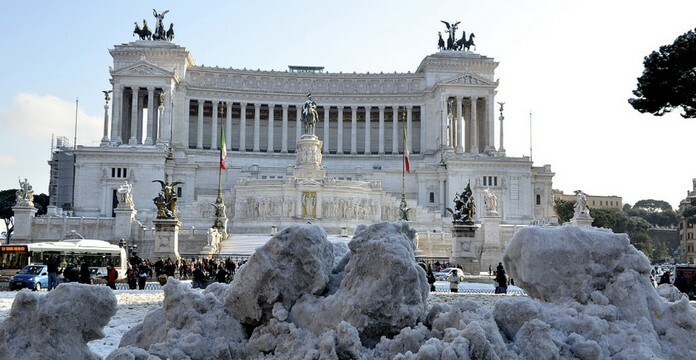 And, thanks to a snowstorm, Rome also added to list. Last winter, the ancient city experienced its first snowfall in six years (before that one, it had been 30 years) thanks to an unusual cold front from Siberia. It wasn’t much (only 1.5 inches) and caused its fair share of headaches with traffic and closed schools, businesses, and tourist attractions. 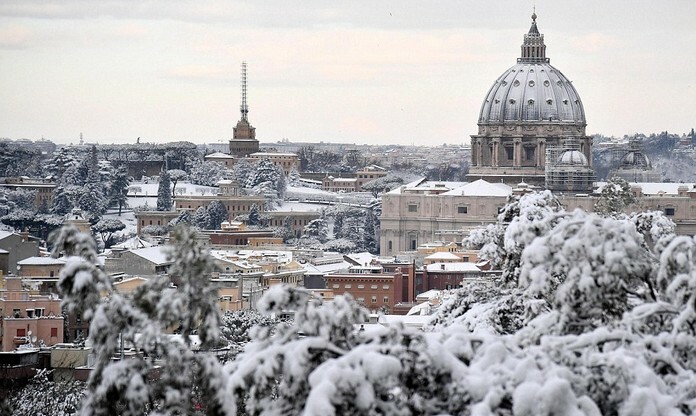 But it also turned the city into a winter wonderland, a rare occurrence for a place with its Mediterranean climate. 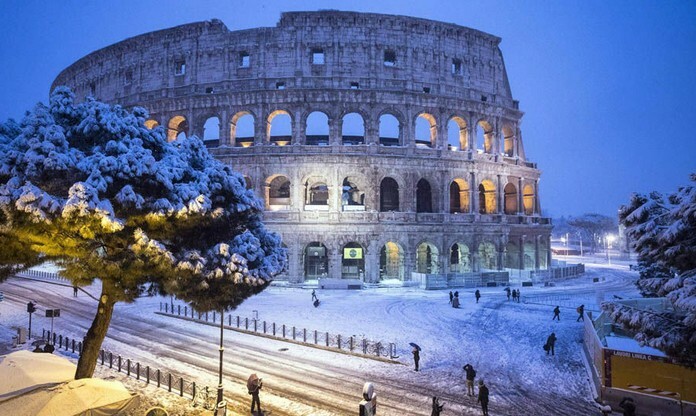 Romans made it their own: building snowmen, sledding outside the Colosseum, having snowball fights at the Vatican’s St. Peter’s Square. 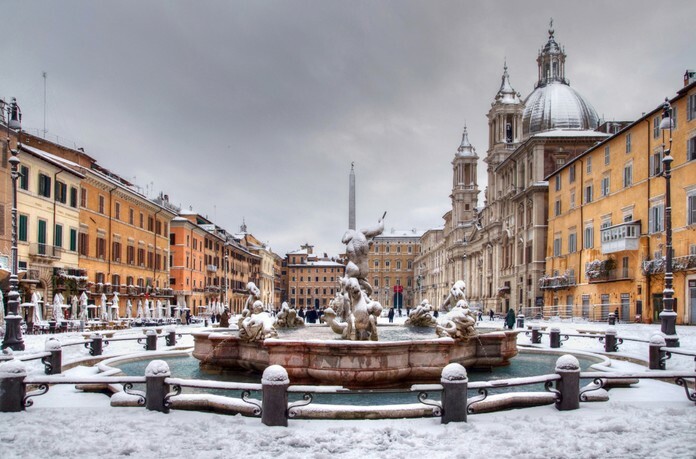 Although the classic Audrey Hepburn movie highlighted the city in all its warm, sunny glory, the above photos suggest that a day of snow, at least for its residents, may be the true Roman Holiday.